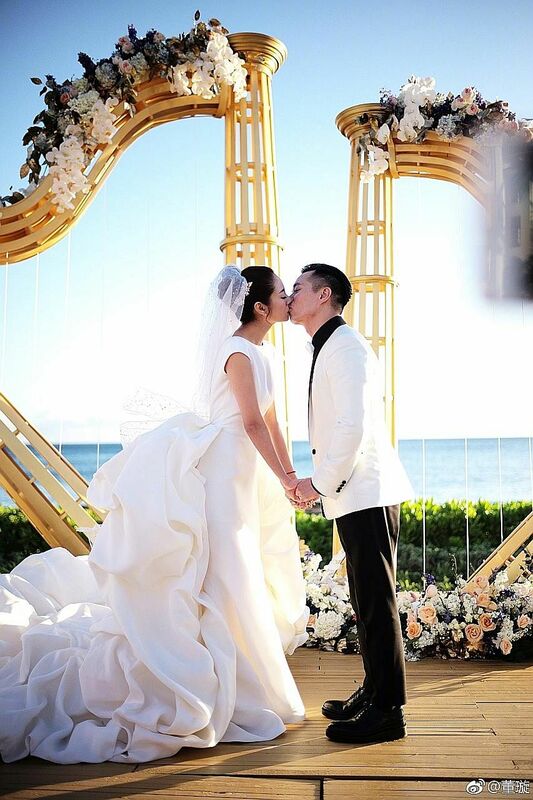 BEIJING •Actress Ady An wed businessman Levo Chan in a seaside ceremony in Hawaii on Monday evening, said NetEase website. The bride, who has starred in Taiwanese idol dramas such as Autumn's Concerto (2009), was wearing a custom-made Stephane Rolland bridal gown with a diamond bow on her waist. The groom, whose family is from Jinjiang in Fujian province, China, is the chief executive of Tak Chun Group, which owns gaming clubs in Macau. He lifted her veil and kissed her forehead before they exchanged vows, said NetEase. According to Apple Daily Taiwan, the groom is hosting the guests - including Hong Kong actor Jordan Chan, Chinese actress Dong Xuan and Singaporean former singer Stella Huang - for four days and three nights in Hawaii. The couple's celebration included a barbecue party on the eve of the wedding.